DoCircuits: leaves an impression of confusion when using the website. It provides many examples to learn how the program works. See for yourself the video "get started in five minutes." 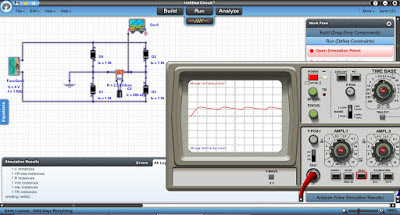 The measurement of the circuit elements of the dimensions are displayed with realistic virtual measuring instruments.